In the Absence of Oil – Agriculture and Tourism Remain The Key Drivers To Uganda’s Sustainable Development. By Isaac Sebakijje — Way back in 2003, President Museveni flew to the United States with the sole purpose of promoting Uganda tourism and the regional image at large. The result of that trip was a $5 million film production by Discovery Channel entitled “Uganda: The Presidential Tour”. The film was hosted by the President himself and it featured Uganda’s diverse attractions and beauty. During the National Resistance victory celebrations two years ago, the President of Uganda Yoweri Kaguta Museveni stated that “Oil is a finite resource. It will be exhausted and finished after some decades. However, our fisheries, tourism … will go on forever if we do not mismanage them” Today, the president’s statement carries more weight than any other time. Tourism is currently Uganda’s leading export earner according to the Central Bank’s monetary policy statement issued last August 2015. On February 8th, 2015 while giving a keynote speech during the NRM MPs retreat at Kyankwanzi, the same Uganda leader stated that agro-processing helped many countries in Europe and elsewhere to launch themselves on the path of socio-economic transformation. This is not to say that the Uganda leader is the sole authority on the importance of tourism and agriculture. However, it is inspiring to know that the leader is committed to the indispensable value of these sectors. Brazil’s agricultural accomplishment emanated from government’s leadership, strong rural policy, new research institutions and dedication to training farmers and technicians. Consequently, Brazil is a socio-economic success story today. That applies to the recent growth in the Asian economic tigers such as Thailand, Malaysia, Indonesia, Vietnam and parts of China where development was preceded by and engineered by agricultural revolutions linked to tourism promotion. According to the United Nations World Travel Organization (UNWTO), tourism is one of the fastest growing economic sectors in the world generating US$34 billion for Africa in 2013. A World Bank report shows that Africa’s tourism could create 3.8 million jobs. On the other hand, agriculture in emerging Sub Saharan Africa is being referred to as the next oil in terms of sustainable economic development. This is can be particularly true in Uganda where agriculture employs over 80% of the workforce. Tourism cannot develop fully without public marketing and promotional contribution. We don’t have to look beyond Kenya, Tanzania and South Africa to witness how government intervention can spur private sector investments in the industry and drive tourism forward. In regards to agriculture, other countries were well aware of the significance of agriculture and prioritized it in national budgets. Countries like the USA and those in Scandinavian countries continue to support agricultural production both directly through market protection and support and indirectly in form of income grants for farmers. In these countries, agriculture remains king to this day. It is a safety net in good and bad economic times. Unfortunately, agriculture in Sub Saharan Africa is taxed rather than subsidized. International policies implemented since the 1980’s, further restricted public investments in agriculture. The results have been catastrophic. In Uganda’s case, the abyss of civil wars, anarchy economic collapse crippled both tourism and agricultural development. As Uganda rebounds, it is very important to distinguish between economic growth and poverty reduction. Uganda is credited with macro-economic stability and sustains annual economic growth averaging 6% per year since 2007. Despite these impressive gains, the majority of Ugandans continue to suffer from the hardships of widespread poverty. This is because in the past, more emphasis was placed on developing non-agriculture enterprises, industries, trade and services. Multinational companies and investors directed resources in trying to absorb the workforce in these non-agriculture sectors in order to stimulate growth. Consequently, the rural farmers, the youth and women have been trapped in a cycle of poverty with an ever widening gap between the rich and the poor. Experts refer to this economic imbalance as a ticking time bomb which the leadership must tackle without delay. Prioritizing tourism and agricultural development has the potential to diffuse social unrest by the impoverished and marginalized population. Unlike oil and other sectors, both tourism and agriculture have the potential to include participation of the poor and disadvantaged. Activities in these sectors can be locally owned and managed and alleviate poverty through employment and entrepreneurship. A balance between international and domestic tourism activities linked to farming systems and local foods can foster a more community based model of national development. Hotels and tourism business operators buy directly from local markets, growers and market vendors. There are concerted efforts to reinstate agricultural cooperatives and cooperative banking to empower farmers in Uganda. Cooperatives can be excellent reliable suppliers to the expanding hotels and restaurant chains. Agro-tourism is another huge linkage activity that can promote high quality product as subsistence agriculture moves from subsistence oriented activity to a more modern commercial sector focused on farming as a business. Uganda is currently implementing the ambitious national blueprint Vision 2040. Also, the country is anxiously getting closer to joining the list of oil producing nations. According to the statement released on Monday 9th, February this year 2015 by Mr. Kisamba Mugerwa, Chairman of the National Planning Authority, Uganda may be transformed into the middle class society by 2020. However, there is one common denominator between nations that have undergone the same transformational process. Agriculture and tourism has been the centerpiece of their socio-economic progress. Governments in those countries continue to provide the infrastructure and other resources needed to sustain those industries. 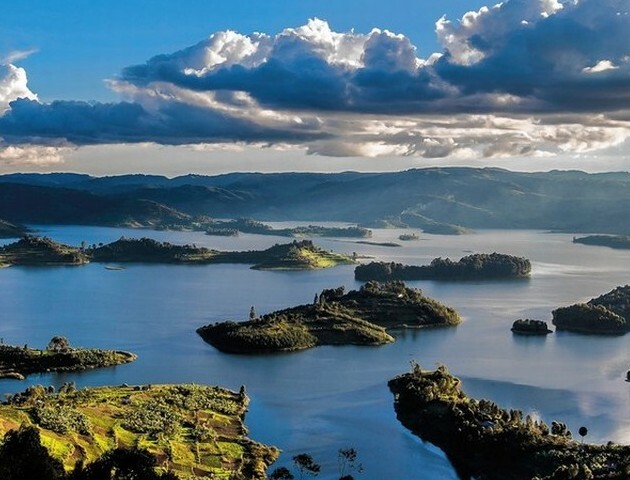 With Uganda’s abundant natural attractions and fertile land, what is needed is a non-partisan political will capable of moving beyond rhetoric. As Amos Wekesa, one of the leading tour operators in Uganda puts it, “the government simply needs to invest more”. It would be best if the future income derived from finite resources like oil is invested in infinite resources like agriculture and tourism for the sole purpose of uplifting society more equitably. With the help of global investments, expertise and diaspora involvement, this can lead the way out of national unemployment and poverty to the desired industrialization.